Home energy storage is a rapidly evolving sector of the renewable energy industry. Battery technology has come a long way in the last few years, and much like your smartphone and other tech, it will continue to rapidly change from year-to-year. We are in the early adopter stage of advanced battery systems for residential solar installations and we expect product evolution and cost reductions in the near future as the market matures and local utility companies better understand how to integrate and value home battery systems. That being said, NATiVE Solar does have the experience and partnerships that help to stay on the forefront of the industry and offer the latest cutting-edge technologies to Texans. NATiVE Solar provides batteries for grid-tie and off-grid storage systems. However, Solar+Battery systems are complex and will significantly increase the the total cost, so it is best to understand your need for energy-storage. For instance, are you looking for a back-up system for your home that will provide power to critical loads in times of power outages, or are you looking for an off-grid source of energy? 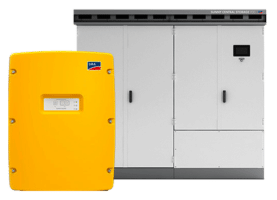 For those interested in starting to save money with a solar PV system with a desire for battery storage in the future, we will install battery-capable components so that your solar power system can be easily upgraded to a Solar+Battery system in the future. *Please note in the comment section what you are looking to do with a battery storage system and we will be faster to serve your needs with a customized energy storage quote.